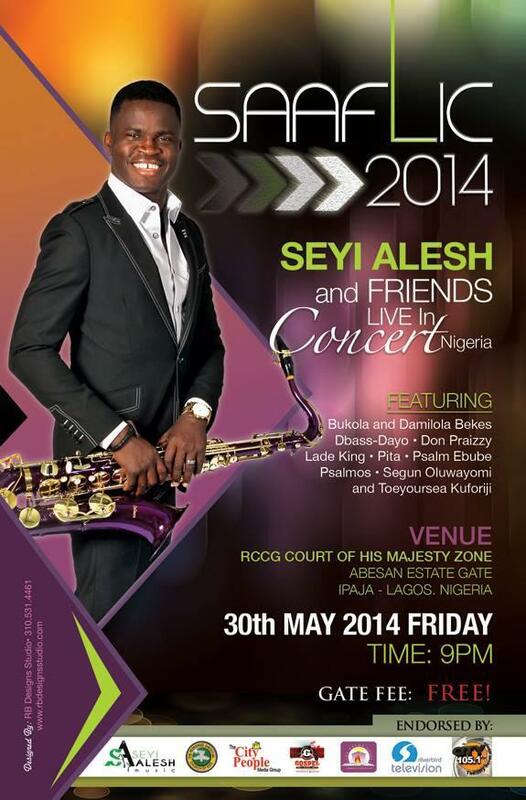 SAAFLIC ,Seyi Alesh And Friends In Concert, Lagos,Nigeria edition is in 3days from now!! Great worshipers, anointed music and mighty praise to God. You can’t afford to miss it. 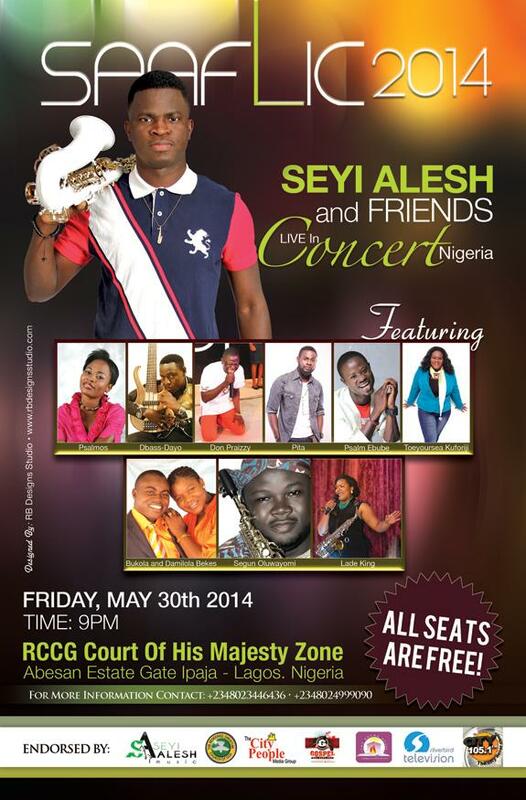 Come this Friday 30th of May,2014. You will really be blessed! This is glimpse of the California, U.S.A version in 2013, enjoy!